The times of a fabricholic, the things I make, the fabric I buy and what it becomes. 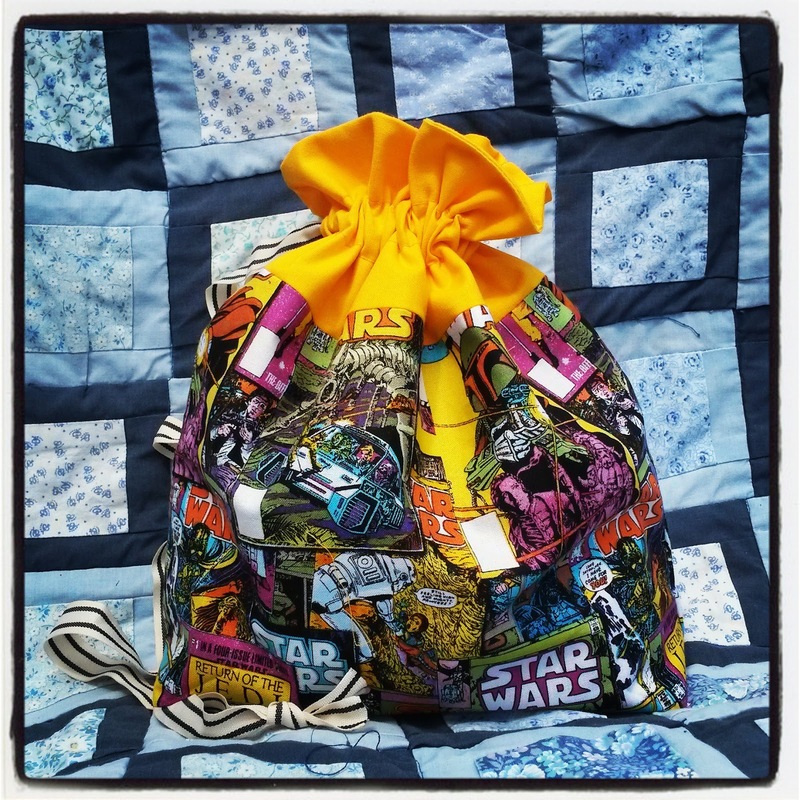 Yesterday my 7 year old son reminded me that I hadn't actually made him the bag I promised to make mine after he got his Star Wars figures for his birthday (end of May) and now nearly a whole month later I actually make time to do it. 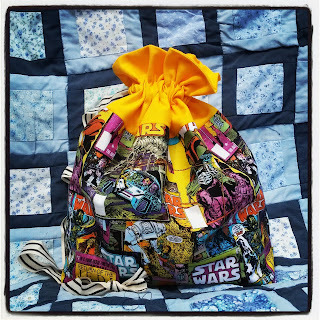 I used Jeni Baker's drawstring bag tutorial on her blog. I had seen lots of people on Instagram using it and thought 'That's exactly what I need' when I was making my Doctor Who craft swap and gave it ago and OH MY GOSH! it was so easy and well laid out that beginners would find it easy to work with. I will probably be doing lots more. There this a pattern you can buy if you are looking for different sizes. Oops where did the time go? Welcome to 2014, I have somehow managed not to blog for over 6 months. I'm not sure why but in that time we have had lots of birthdays, a holiday to the seaside as well as Christmas and new years. In a few days the kiddies will all be back at school and I will be working on my sewing list. 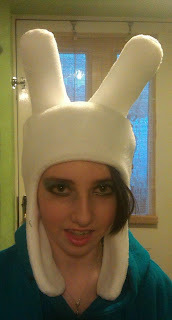 One of the things on my sewing list over the next week is a Fionna the Human from Adventure Time Hat. I made one for my teen daughter a few days ago but now seem to have an order from her best friend. I'm going to work on a tutorial to make your own for later in the month. 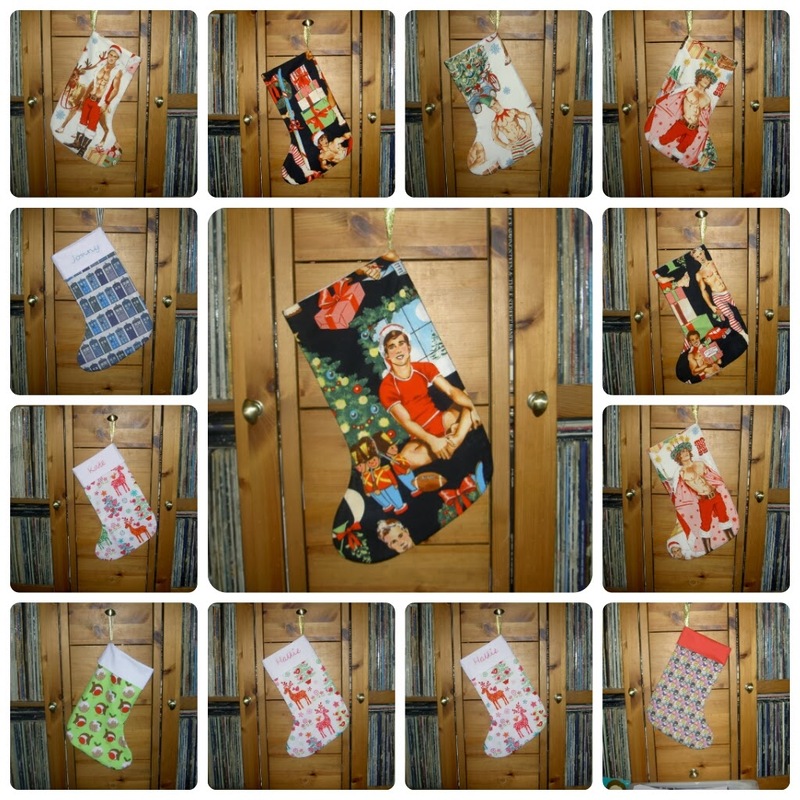 Before Christmas I did LOTS of sewing mainly lots of stockings for the children as well as my folksy shop but sadly only a few sold, but at least I'm organised for next year. 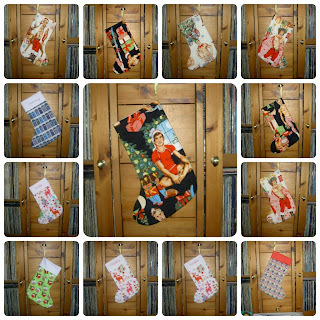 Christmas stockings - pin up hunks, Nordic deer's, TARDIS and Adventure Tim fabrics. Other things I made before Christmas that wasn't stockings was a large amount (for me) of Doctor Who related items. I was invited to share Doctor Who day at a lovely church in Gordon Hill where Karen at Karen's Kitchen at St Luke's celebrated 50th anniversary of Doctor Who with lots of locals. 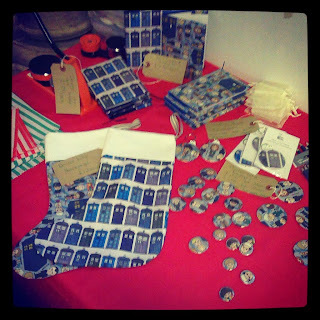 Doctor Who inspired creatures - Badges, compact mirrors, A6 notebook and diaries, keyrings and stockings. 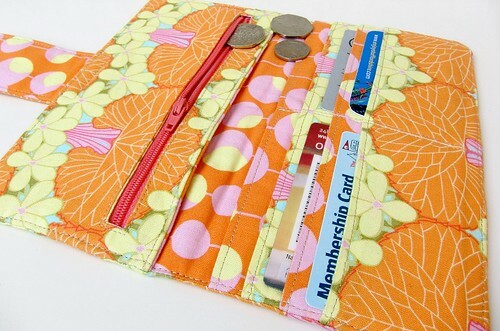 Other things I've been up to is making a few new zipper wallets from a pattern I found via Instagram by Michelle Patterns. 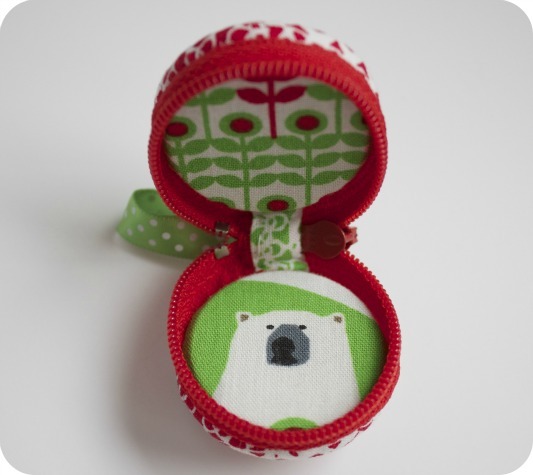 I've liked it for a while and hadn't got round to buying it then after a great sale of stock so I brought it, and set to making up some (and one for myself) I added an extra feature of a matching compact mirror to make it a gift set. I've joined in a swap with one of the wonderful Facebook groups I joined nearly a year ago. I love the idea of doing a swaps, the excitement of making something special for someone, the research to find something different, choosing the fabrics and the fear of making something not wanted. As you can see the positives total outweigh the negatives. I know what my swappee likes and now I need to decide what to actually make. I have had a look at lots of tutorials and here are some that I want to try. 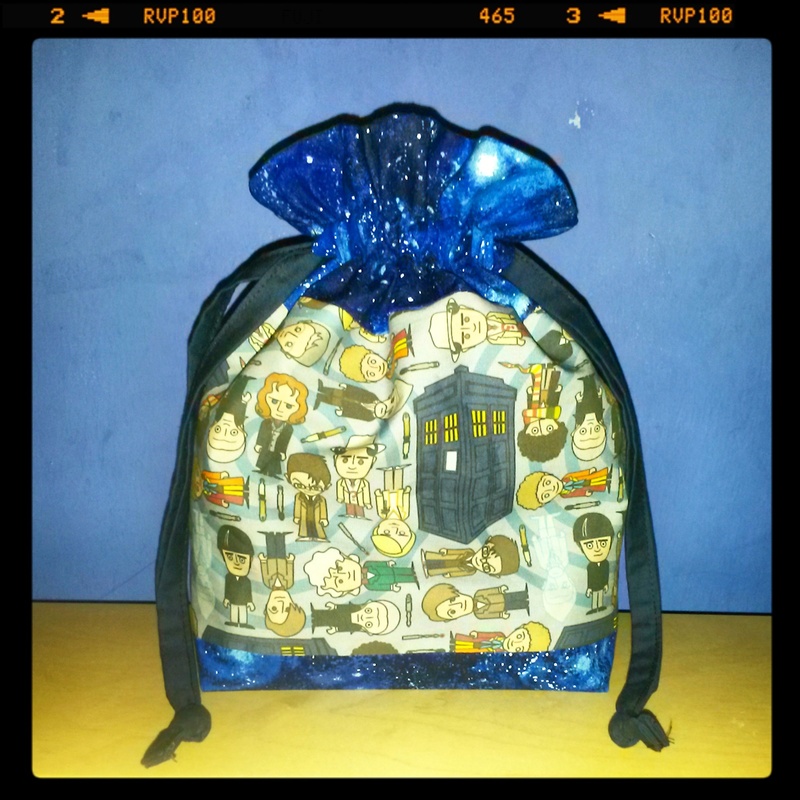 Well that's enough purses for now, Once I have sent my swappee their very special purse I'll show you all. 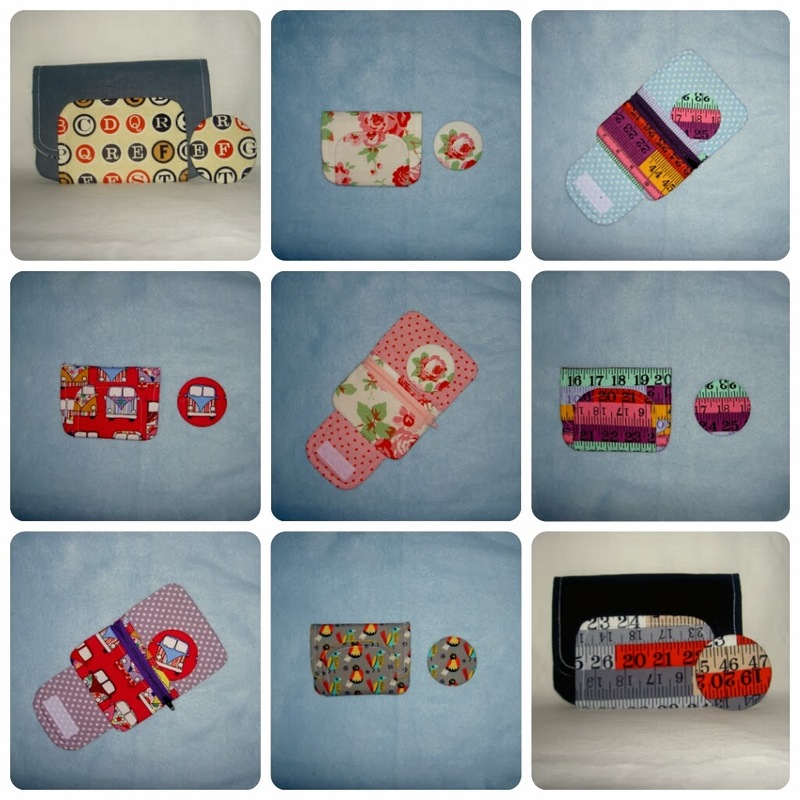 Hi there, I'm Zoe and you are looking at some of the things I make some from patterns but mainly ideas I have. I make for all my children and for family and friends but I also sell bits at http://www.folksy.com/shops/buttoneduppinneddown. All Things & Everything Else!